In celebration of the launch of Cigar City Brewing distribution in the Michigan market, the Head Brewers of Perrin Brewing and Cigar City Brewing teamed up to craft a collaboration IPA. This beer, North-South IPA will be available on draft and 6-packs at the Perrin Pub and in Michigan market. For the past two years, Perrin Brewing and Cigar City Brewing have partnered under the CANarchy collective to share brewing experiences, techniques and specialty ingredients. John Stewart, of Perrin Brewing invited Wayne Wambles of Cigar City Brewing to brew an innovative style of a New England IPA. Using Denali, Enigma, Galxay and Citra hops, North-South IPA takes all the aroma and hop flavor of a New England IPA to create a more stable flavored beer. Through this unique approach to making a NEIPA, each beer is packed with delicious tropical and juicy hop aromatics. 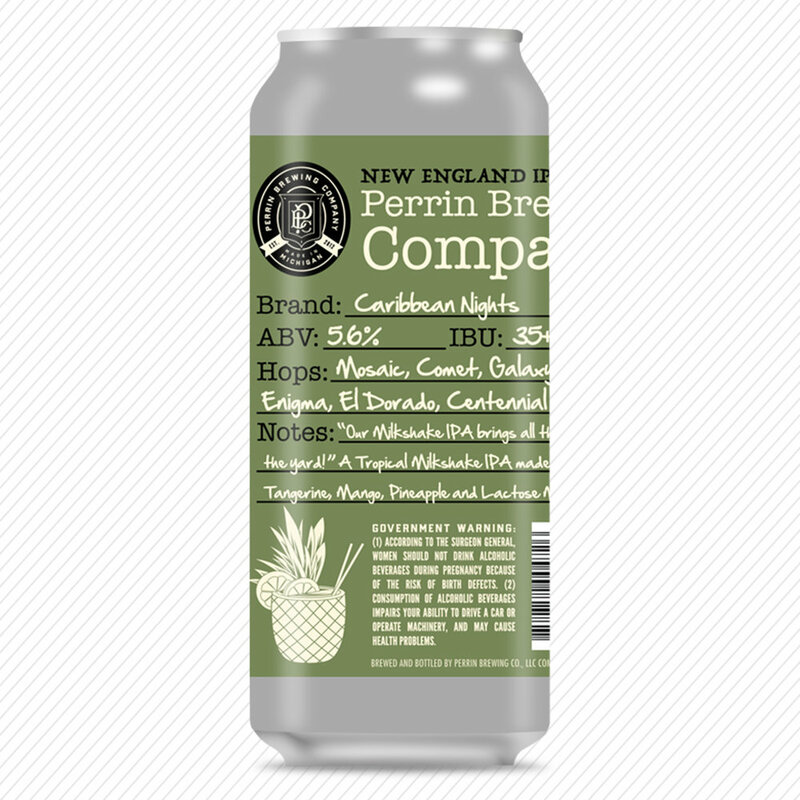 The Perrin Pub will release North-South IPA 6-packs on Thursday, May 17th. Michigan market distribution available the following week starting May 21st. This beer was brewed with oats giving a smooth, almost ethereally fluffy mouthfeel. Tropical fruit notes of pineapple and mango burst forth from the very generous double dry hopped additions of Galaxy and a Mosaic Cryo hop hash that all wrap together leaving a ghostly haze.